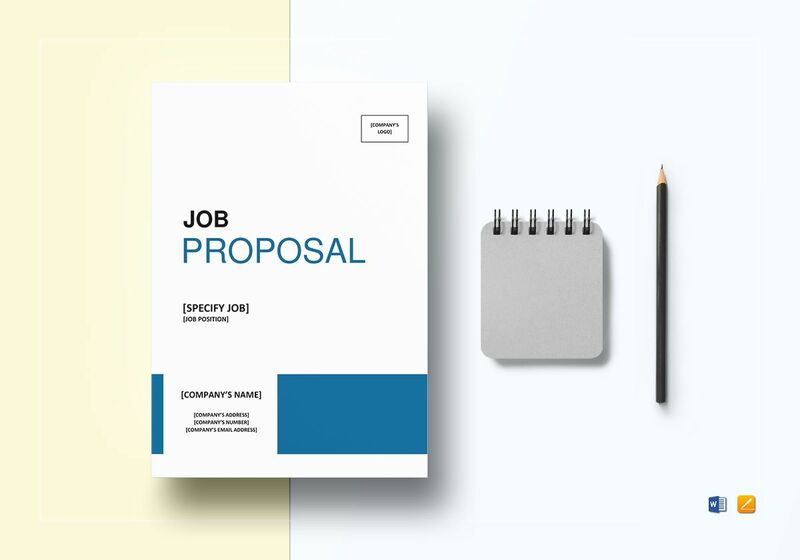 When looking for proposal templates, make use of this Job Proposal Template that is highly flexible and can be applicable to any type of job. 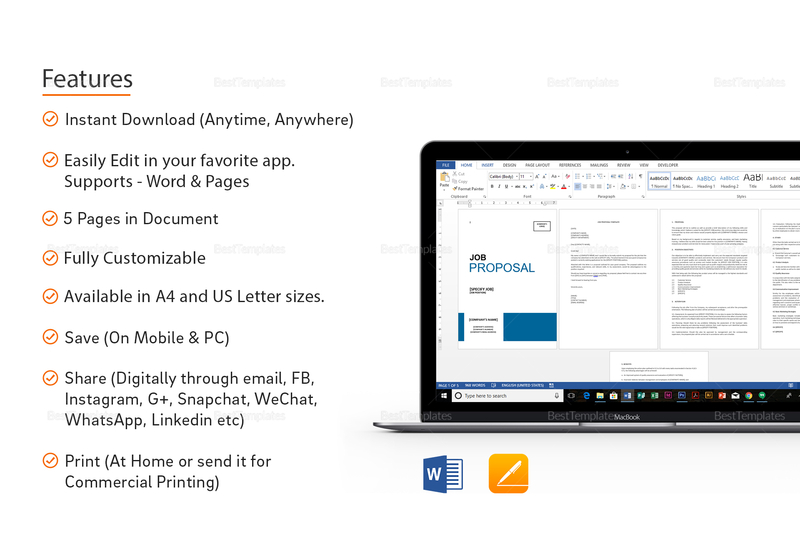 Open and edit this 6-page document using your favorite application that supports MS Word or Pages file formats. Digitally share through email and social media such as Facebook, Twitter, Instagram, etc. 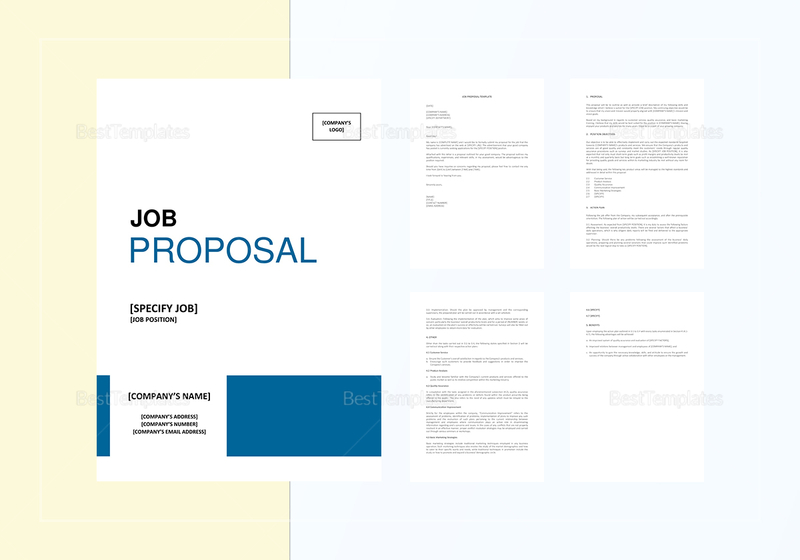 Perfect for commercial printing or printing at the comfort of your own home.